This construction video shows the functionalities of RCM, a handy software for designing singly reinforcement concrete beam. 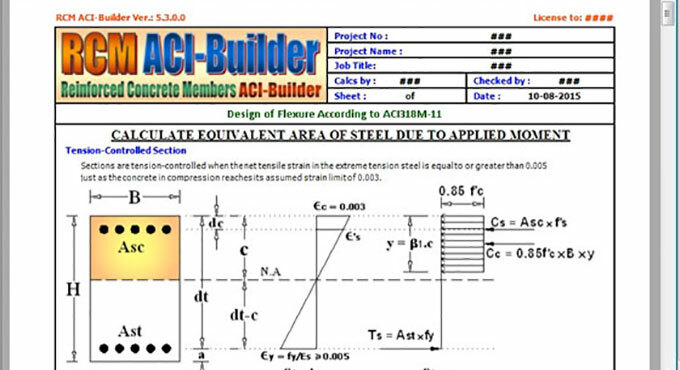 RCM is an adaptable and widely recognized tool for the structural engineers to create the design of various types of reinforced concrete members based on ACI318M-11 Code and other ACI Standards like ACI350M-06, ACI244R-01, CRSI-2008 etc. The RCM can be used for providing complete through design reports containing full formulas and exemplifying figures just close to manual calculation. The complete detailed reports transform RCM design engine to an open book, so the engineer can smoothly certify and authorize them. RCM reports allow the engineers to learn ACI Code thoroughly.